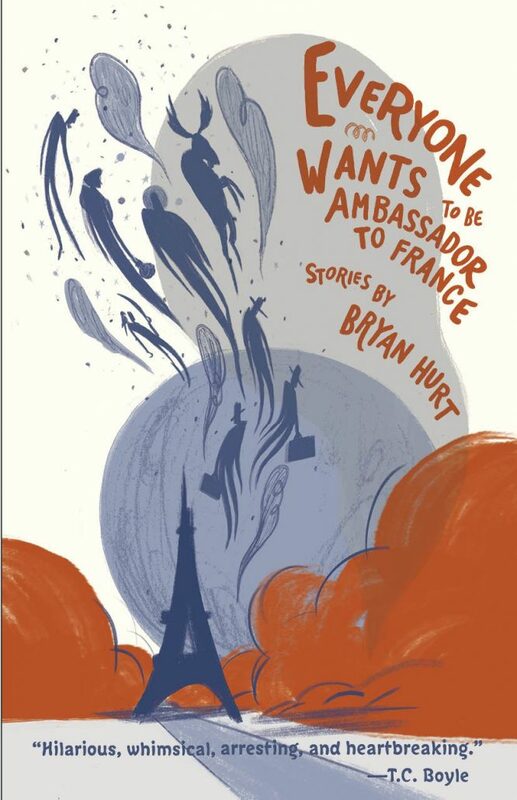 Wonderfully absurd and weird stories fill this collection by Bryan Hurt. His characters range from astronaut-artists, a British aristocrat with his adopted girls, a goat and seagull questioning the afterlife on the edge of a cliff, and a run-down American writer panicking about the demands of his agents. The opening lines are often so succinct and direct that Hurt pulls you in immediately: “Thomas Day was rich but very ugly.” Oh really? I wanted to know more. Would he be an interesting man to know? I kept reading. The simplicity of language is compelling. The short stories are concise and precise with no wasted words. There is a great rhythm and Hurt comes across as a narrator to trust. We know where we are immediately upon starting a new story; he grounds us as readers, yet there are such great turns and unexpected digressions and drifts that demand you pay attention. Hurt plays with the form of these short stories, more so in the second half of the collection. “The Contract” follows a CEO’s own contract with life and relationships, and yes, form follows content. There are more pieces in the remainder of the book where form changes to suit each story. We see Hurt playing with experimental forms such as bullet-point lists and individually titled paragraphs. That sweetly, simple response is all that’s needed for the narrator in this last story, and it’s a fine example of Hurt’s ease with using few words to embody heartwarming emotions. I walked away from Everyone Wants to be Ambassador to France with a smile, a softening towards the world around me, and I look forward to more of his stories.